The @Grab annotation is a useful one in Groovy, but did you know that you can make it even more helpful from within IntelliJ? Read on for the details. In our Groovy scripts, we can use the @Grab annotation. With this annotation, we define dependencies for our script and they will be automatically downloaded and added to the classpath when we run our script. 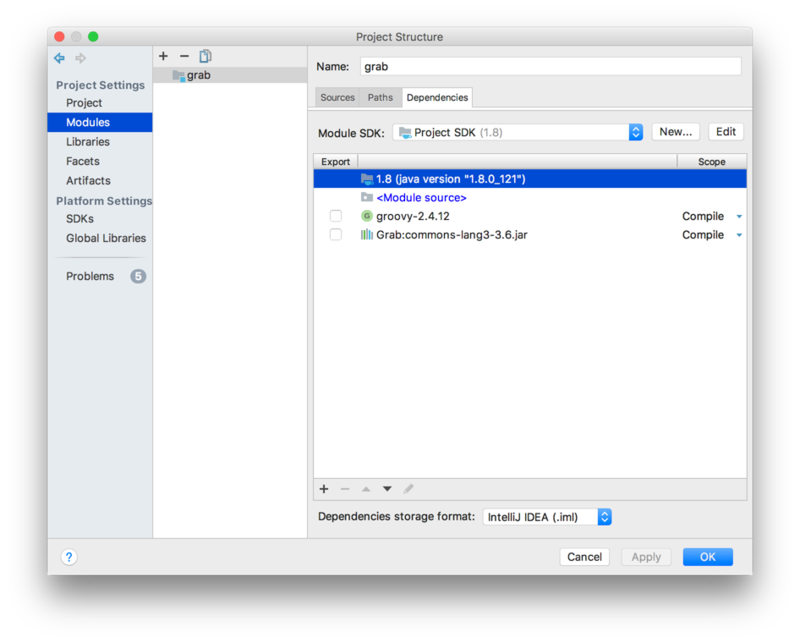 When we use IntelliJ IDEA we can use a nice intention that is part of the IntelliJ IDEA Groovy support to download the dependencies from our IDE editor. IDEA downloads the dependencies and adds it to the project module dependencies. This is useful because this will also add code completion for the classes in the dependency to our editor. In our example, we added the Groovy script to a Groovy project in IntelliJ IDEA. When the project is a Gradle or Maven project we must make sure Ivy is part of the compile classpath because otherwise IntelliJ IDEA cannot download the dependencies using this intention. For example, we could add to a Gradle build file the following dependency compileOnly 'org.apache.ivy:ivy:2.4.0'. Written with Groovy 2.4.12 and IntelliJ IDEA 2017.2.5.